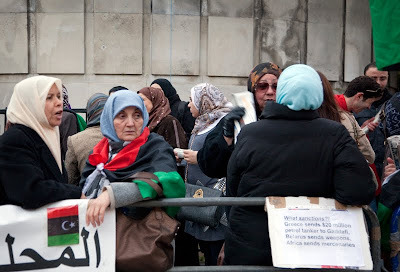 For the past month a group of protesters has held a vigil outside the Libyan Embassy. Faces of those who are desperate. Do you know what they were protesting? Was it in solidarity with the protesters in Libya? It's a bad time over there and people are hurting. Interesting that they are nearly all women and you see no women in the shots from Libya! The world is in a mess. Trying to find the best limousine company can be a hectic task. With so many startup companies and single drivers, it's very easy to make a mistake. This article will give you some basic tips and information on what to look for when choosing a limo service.